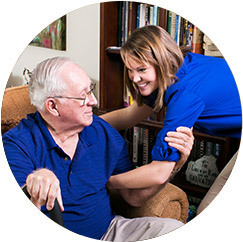 You know your parent or elderly loved one better than anyone, so when you decide to let us help provide senior care for them, we listen to what you have to say. Our goal is the same as yours: to help them enjoy the best quality of life and enjoy independence for as long as possible. We take the time to talk to your loved one so they feel comfortable with us and our caregiving role in their life, and keep you informed and involved in order to offer peace-of-mind that he or she is being cared for in the loving way you would care for them yourself. What is the Difference Between Home Care and Home Healthcare? Both home care and home healthcare have the same goal: to keep your loved ones safe and as healthy as possible. Often, they work in tandem. A home healthcare nurse or physician’s assistant will visit your home and potentially adjust your prescriptions, while a non-medical caregiver will make sure these medications are taken on time. A physical or occupational therapist may design an exercise plan for you; a non-medical caregiver will help you with these exercises throughout the day. Home healthcare is usually prescribed by a physician when you need skilled care in your home. Both services require specific licensing and both assist with activities of daily living (ADL). As far as costs, home healthcare is usually paid by Medicare, Medigap, Managed Care, Medicaid, Veterans Benefits and private pay. Home care clients are generally private pay, although Medigap, Long Term Care Insurance (LCTI) and veteran’s benefits are available as well. Some health insurance plans offer limited respite care coverage. Home healthcare services are usually temporary (generally a short period of time) and with limited frequency (one to two hours per week), whereas non-medical home care can go on indefinitely. 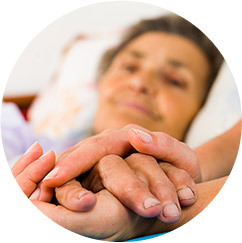 Non-medical home care fulfills a specialized niche between people needing medically skilled services and people who need non-medical companionship and help around the house. At FirstLight Home Care, we provide non-medical in-home care that covers everything from household duties like cooking, cleaning, and laundry to individual needs such as bathing and hygiene, continence and toileting care, mobility assistance, and assistance with eating. We can help out with errands, organize bills, take care of paperwork, or just sit down and enjoy some pleasant conversation. Basically, our home care agencies provide whatever is needed to help people maintain their independence and quality of life. We provide both short-term home care and long-term home care that’s available 24 hours a day, 365 days a year. 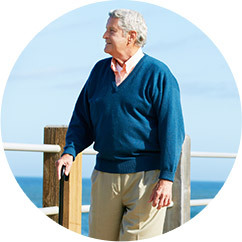 Our home care services are available to people of all ages wherever and whenever they need it. This includes seniors that need some assistance to stay in their homes, care for the elderly who have chronic illnesses, families with members who have special needs or disabilities, people recovering from illness or surgery, new moms, and families of deployed military personnel. We can even serve people who just need someone to talk to enhance their daily lives. What Are the Advantages of Home Care Versus Senior Care in a Facility? In a word: freedom. According to AARP, 92 percent of people over the age of 65 want to stay in their homes as long as possible. Why? Because they enjoy their independence. Physically, in-home care can be better because it allows seniors to remain active longer. They can maintain their own schedules and a certain level of mobility. Emotionally it can be better, too, because some seniors who are put in nursing homes develop depression that can negatively impact their health and quality of life. 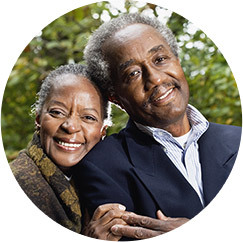 In some cases, families ask a FirstLight caregiver to come to a nursing home, assisted living facility, or retirement community to provide added companion care and assistance with tasks that may not be met in these institutions. This includes things such as running errands, going to doctor’s appointments, or taking a trip to a favorite restaurant. If you would like to learn more about companion care, personal care, dementia care or any of our non-medical home care services, give us a call today or contact your local FirstLight Home Care location today.